While no two headaches are the same, there are certain things that everyone can do to alleviate the pain and even prevent them in the future. Headaches are truly debilitating for millions of people who have them on a regular basis. As someone who suffers from chronic headaches, I have done everything in my power to learn about what causes them and more importantly, what I can do to get rid of them when I have one. Some headaches will still come on inexplicably, but it is possible to have much more control over them. While no two headaches are the same, there are certain things that everyone can do to alleviate the pain and prevent them in the future. Have some caffeine. The first thing I do when a headache comes on is have a little bit of caffeine. I usually take one to two Excedrin or a cup of black coffee. This constricts the blood vessels in the brain, helping to block the pain. The key here is that you must watch the amount you consume. While caffeine is the active ingredient in many over-the-counter headache pain relievers, having too much of it can also cause headaches in what is known as the “rebound effect” where headaches are attributed to caffeine withdrawal. 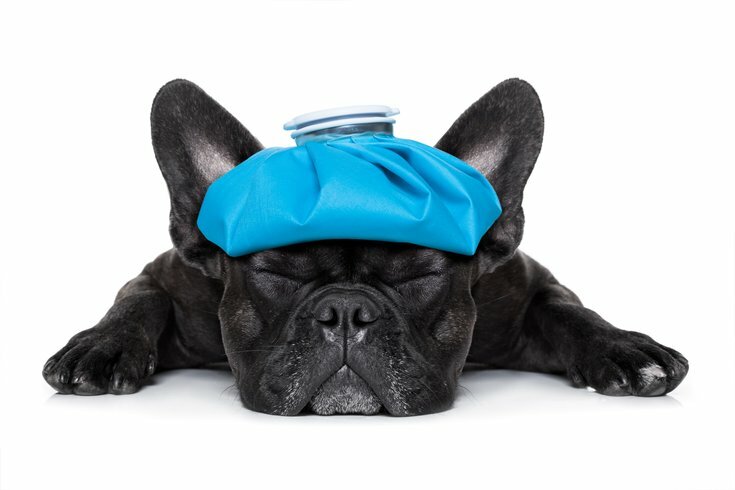 So, if you have a headache on a day when you’ve already had three cups of coffee, chances are, you have consumed too much caffeine and that may be the root cause of your headache. In this case, skip step 1 and begin to treat your headache with step two. Drink water. Dehydration is one of the chief causes of headaches so it is important to make it a habit to keep water by your side always to stay hydrated at all times. Drink as much water as you can! Many people find it difficult to get into the habit of staying regularly hydrated but water is the great “counteracter”. It is the purest thing we can put in our body to flush it to its natural state of homeostasis. Alcohol, caffeine and salt are contrarily notorious dehydrators so it is important to up your water intake when consuming any of those products. Stretch your neck and shoulders. A number of headaches are caused by muscle tension so stretching the muscles at the base of the neck will naturally relax them. First, touch your chin to your chest. Rest there, let your head hang. Slowly move in the opposite direction, trying to touch the back of your head in between your shoulder blades. Go back and forth as many times as you’d like. Then, touch your right ear to your right shoulder and stay there, breathing until you are comfortable enough to come back to center and then repeat on the left side. Pause there as long as you’d like and move into big clockwise neck circles. Move slowly, making sure to breathe and pay attention. Repeat in a counter-clockwise direction. When you are finished, bring your right arm across your body and hold with your left arm. Repeat on opposite side. Learn to listen to your body and do what feels right to you. Ice or heat. With most injuries, ice and heat can be very helpful treatments. For me, ice and heat help decrease my headache pain significantly. In severe cases I use both, but mostly I have an ice pack in the freezer that I use at the base of my neck or at the top of my forehead for headaches when the pain is confined to my head and I have a heating pad that I put on my shoulder when I feel like it is a headache that is coming from pain in my back. Massage. Massage is by far the most effective tool when I have a stubborn headache. My first instinct is to press and release the pain points in my head, face and neck myself. If that doesn’t work, I would pop into a local nail salon for a 15-minute chair massage. If my headache persists pasts 24 hours, I often visit my reflexology specialist for a 50-minute massage or visit my chiropractor for an adjustment after receiving Electronic Muscle Stimulation aka “stim” on my shoulders. Take notice of triggers. In order to prevent headaches in the future, it is important to examine how and why they were brought on in the first place. What is typically happening around you at the onset of a headache? Do certain sounds, smells, stressors make you more likely to experience a headache? What time of day do the headaches come on? What have you just had to eat or drink? Noticing the details that frame your headache can help explain why you have one. Consider how what you consume effects you as well and know that because of this you have more control than you may think.